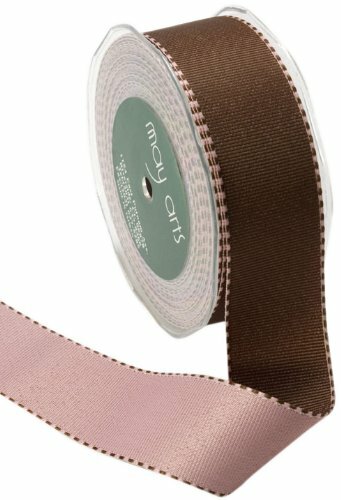 This 1 and ½-inch by 20-yard is a grosgrain reversible ribbon with a stitched edge. One side is brown and the other is pink. This product is great for adding color to a wrapped gift or create unique embellishments. View More In Trim & Embellishments.